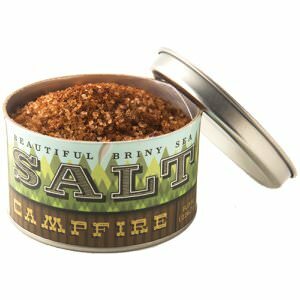 Use the Campfire Sea Salt to marinate, to grill, or to roast. Composed of smoked sea salt, cumin, chili flakes, and sumac, this seasoning is bold and delicious. - Excellent on potatoes - Perfect for grilling corn - A must for steak - An essential ingredient for braising meats Learn more about the masterminds behind this Beautiful Briny Sea creation. Ingredients: Pure ocean salt, smoked sea salt, sumac, cumin, chili flakes.